If you visited Pets at Home during the summer you may have been asked to donate to their Support Adoption for Pets Scheme which helps local charities as well as their own adoption scheme, with any money raised being split 50/50. 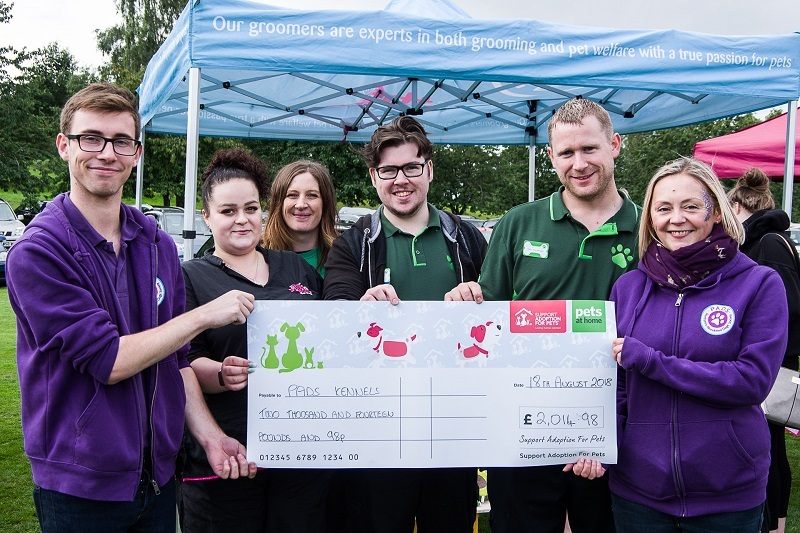 Our Perth store raised over £4000.00 and presented us with a cheque for £2014.98 at our Scrufts show. Thank you to their amazing staff, especially new manager Chris who has been very passionate about all the fundraising they do in store.